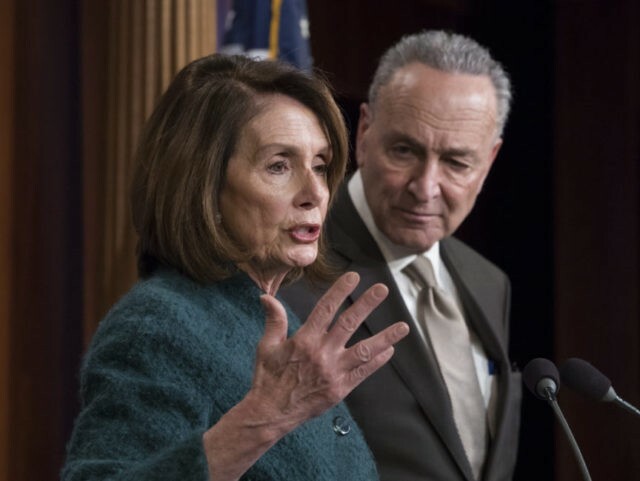 One of the Democrats’ favored talking points during the ongoing partial shutdown is that they will not discuss border security until President Donald Trump agrees to re-open the federal government. They cannot negotiate under duress, Speaker of the House Nancy Pelosi (D-CA) argued Tuesday, because doing so would create a bad precedent for allowing Republicans to use the threat of government shutdowns as leverage in future negotiations. Pelosi also told me that there will be no negotiation on border security without opening the government first. She made it clear Dems will not allow POTUS to use the shutdown as a way to force legislation because it could lead to scenario like that in the future. There is only one problem with that argument: Democrats shut down the government themselves, exactly a year ago, in an effort to force President Trump to agree to accept their terms on a permanent solution for illegal aliens who entered the country as minors and enrolled in the Deferred Action for Childhood Arrivals (DACA) program. The shutdown lasted for only three days; Democrats quickly capitulated on Jan. 22, 2018. But they had set, or accepted, the precedent of using a potential government shutdown as leverage in negotiations — over the issue of immigration in particular.